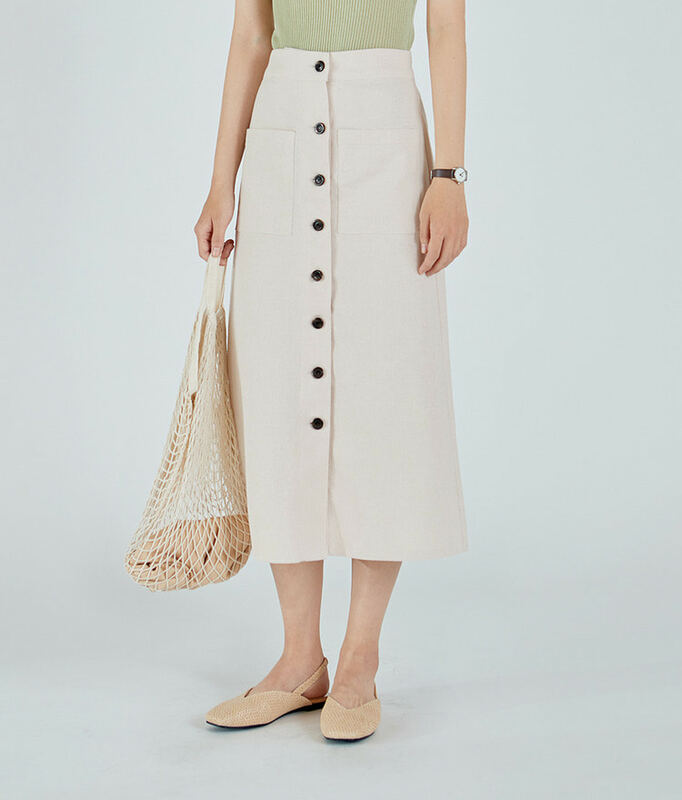 Trade your skinnies for this comfier and much more elegant midi skirt. It has a semi-elastic waist, a button-up closure, pockets, and an A-line cut. This would work well with your slouchy top and low-cut sneakers getup.